Apple's "Other Products" category, which includes AirPods, Apple TV, Apple Watch, iPod touch, HomePod, Beats products, and Apple-branded and third-party accessories brought in $3.74 billion in revenue during the third quarter of 2018, up an impressive 37 percent percent compared to the year-ago quarter. Apple does not break down the specific sales numbers of products in the "Other" category, which makes it difficult to determine specific sales numbers for products like the HomePod, AirPods, and the Apple Watch, but Apple CEO Tim Cook this afternoon provided some insight into Apple's wearable business. Revenue from wearables, which includes the Apple Watch and AirPods, saw 60 percent growth year over year, according to Cook. Wearables revenue also exceeded $10 billion over the course of the last four quarters. Apple Watch had a record-breaking June quarter with revenue growth in the mid 40 percent range. 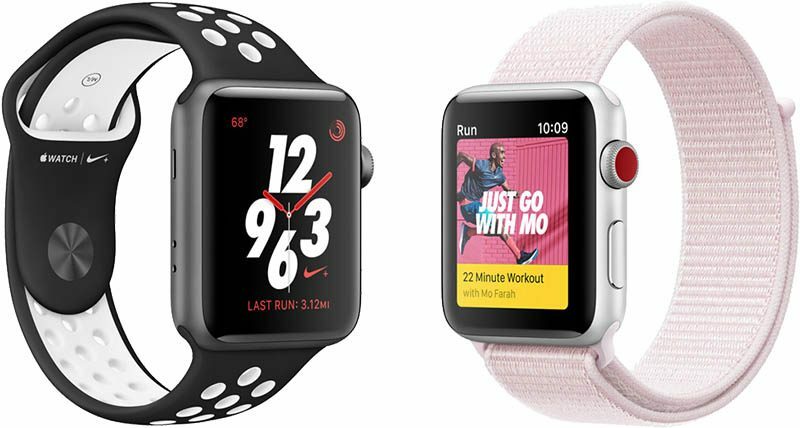 The Apple Watch's record-breaking June quarter comes just weeks ahead of when Apple is expected to introduce a whole new model, with a larger display, better heart rate tracking, and other improved features as outlined in our Apple Watch roundup. Cook didn't go into details on the AirPods, but he said Apple is "thrilled" to see so many customers using AirPods. "It reminds me of the early days of the iPod," he said. "When I saw those white earbuds everywhere I went."